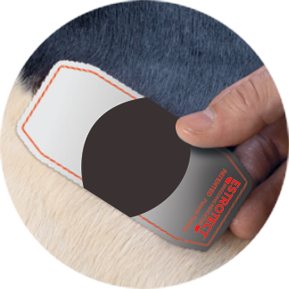 Place Breeding Indicator on the application site halfway between the hip and tail head. 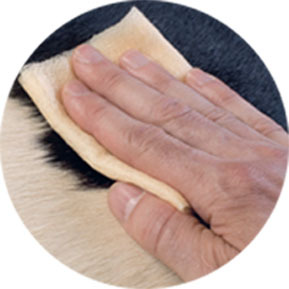 Press down firmly and rub into hair with bare fingers. Do not apply in rainy weather conditions. 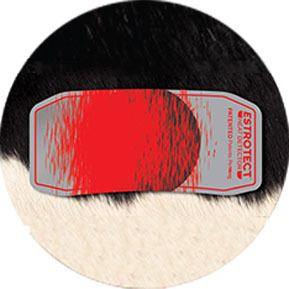 As mounting activity occurs, the ESTROTECT Breeding Indicator’s silver and black surface ink – featuring the NEW Breeding Bullseye – is rubbed off by the friction of the mounting and will reveal the indicator color (red/orange, green, blue, yellow or fuchsia). 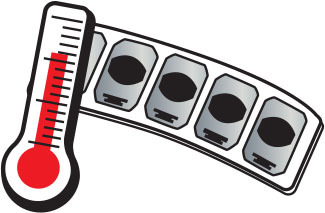 With each mount, the silver and black surface ink will gradually reveal the indicator color indicating a true standing heat. 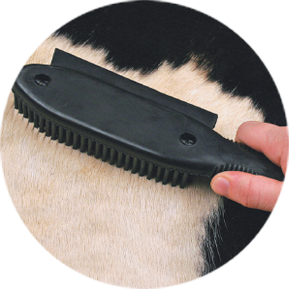 Once the black Breeding Bullseye is rubbed off, or the equivalent surface area, this indicates the animal is in standing heat and the breeding protocol should be initiated.